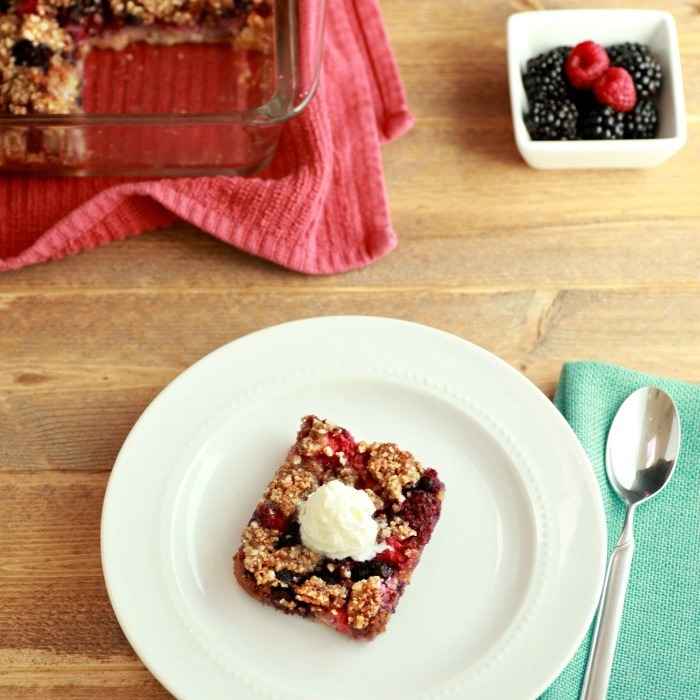 These Berry Pie Crumble Squares are grain free, paleo, and low carb. 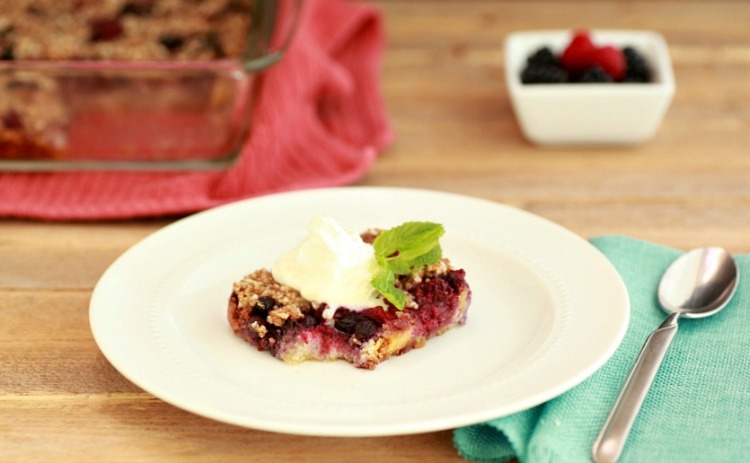 A delicious combination of berry pie and berry crumble. I could not decide which to make with the berries a friend brought over: a berry pie or a berry crumble. 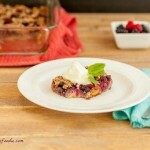 So, I just combined both recipes in a pan, and made berry pie crumble bars. 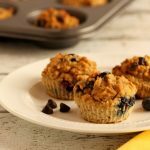 These can be made paleo or low carb depending on the sweetener you choose. 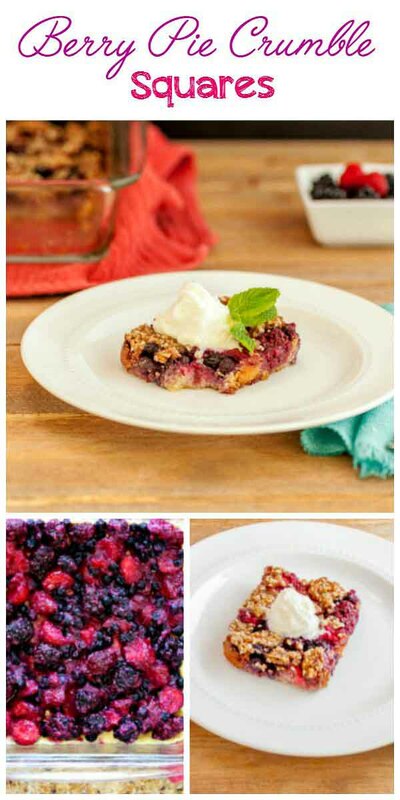 I used a mix of blueberries, blackberries and chopped strawberries in these squares to keep them low carb. You can also use frozen mixed berries that have been defrosted as well. ⅓ cup sweetener of choice: ⅓ cup erythritol granular for low carb, or ⅓ cup coconut sugar for paleo. Preheat oven to 375 F, and grease a 8×8 inch pan. In a large mixing bowl combine all the fruit filling ingredients. 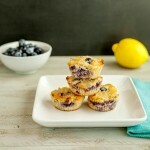 lightly toss fruit to cover in sweetener and coconut flour. Set aside and let rest in bowl for 15 minutes. In a large mixing bowl combine all the pie crust ingredients until a dough forms. press the dough into the bottom of pan. Press dough to evenly cover just the bottom of the pan. Set aside. 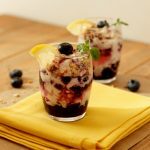 In a separate large mixing bowl, using a pastry dough cutter or large fork to combine all the crumble topping ingredients. Smash ingredients into the butter until small crumbly chunks form. Spoon and spread the fruit mixture across the top of the pie crust in the pan. Spoon small amounts of crumble mixture all over the top of the fruit mixture. Bake for 35 to 40 minutes on center rack. Remove once topping is browning. Cool for 20 mins or more until the fruit mixture firms up and sets. You can also refrigerate overnight for a firmer texture. Serve with whipped cream or coconut cream. 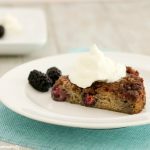 Can also serve with low carb vanilla ice cream or paleo ice cream. Nutritional Data for Low Carb Version (using Swerve sweetener and liquid stevia): Servings: 9 squares, Serving Size: 1 square out of 9, Cal: 198, Carbs: 7.6 g, Net Carbs: 4.6 g, Fiber: 3 g, Fat: 16 g, Protein: 3 g, Sugars: 2 g, Sodium: 108 mg.
Nutritional Data for Paleo Version (using coconut sugar and honey): Servings: 9 squares, Serving size: 1 square, Cal: 248, Carbs: 22g, Net Carbs: 19 g, Fiber: 3 g, Fat: 16 g, Protein 3 g, Sugars: 16 g, Sodium: 108 mg.
⅓ cup sweetener of choice: ⅓ cup erythritol granular for low carb or ⅓ cup coconut sugar for paleo. Preheat oven to 375 F, and grease a 8x8 inch pan.